Custom label - or private label - bottled water, just like our Virginia Artesian branded bottled water, is available in a variety of sizes. 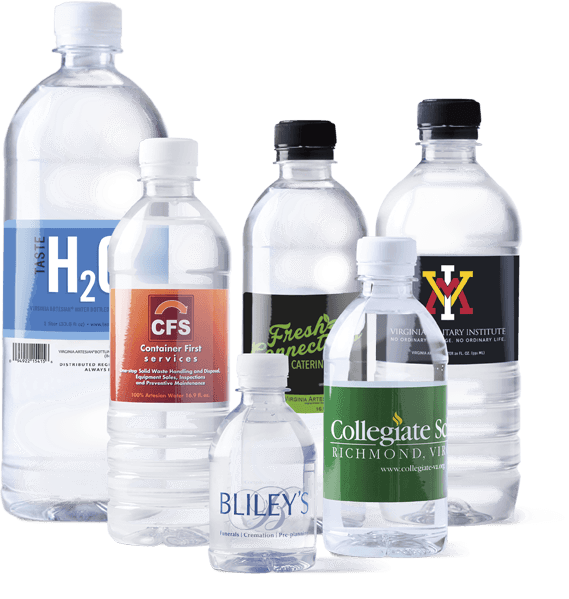 Order your custom label bottled water in liter, half-liter ribbed and smooth, twenty, twelve and eight ounce bottles, and they will come to you bearing high-quality labels that will reflect your brand. What's more, we handle all the printing for custom label bottled water orders! Imagine customers carrying around miniature billboards promoting your company. We can make that happen with your own custom label (also known as private label) bottled water. Our fully adaptive process ensures that your message gets through. Printed in your choice of colors and design, your message will be in the hands of loyal customers. So whether you refer to it as custom label or private label bottled water, get yours from Virginia Artesian. You’ll receive our dedicated, expert attention, and you will love the results! Take a look at the samples we’ve included on the next page, and imagine your own custom label. 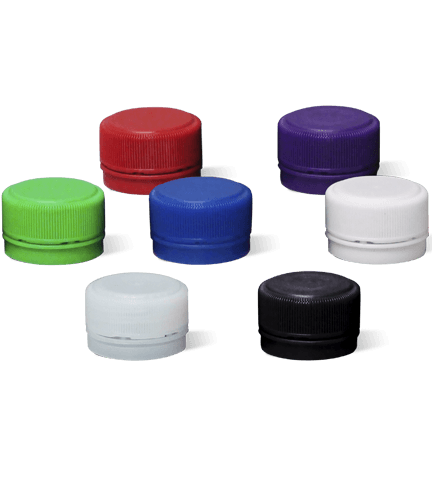 Choose from six bottle sizes, and we’ll take care of all label printing according to your unique design specifications. 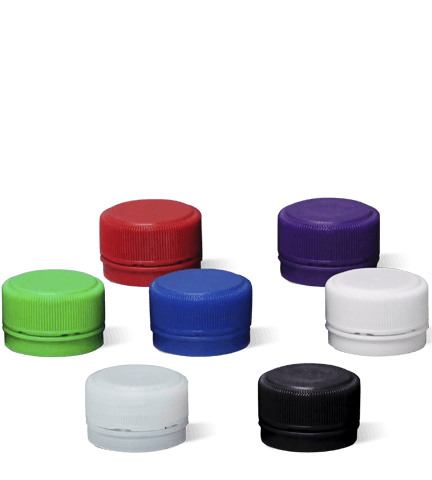 And to fully complement each custom label/private label bottled water request, choose from seven cap colors: red, purple, green, blue, white, clear and black – at no additional cost. Pricing is determined by your bottle choice and includes shipping to your location. What’s more, your custom label bottled water can be delivered as soon as two weeks after your order is processed.